Brummana is a town in the Matn District of the Mount Lebanon Governorate in Lebanon. 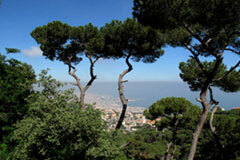 It is located east of Beirut, overlooking the capital and the Mediterranean. 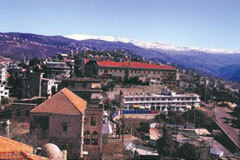 Brummana is one of Lebanon's main summer resorts due to its relatively cool climate. Sitting on top of a pine-forested hill, the town offers visitors spectacular views over Beirut, the Mediterranean coast, and the surrounding mountainous area. 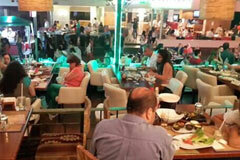 It attracts many Lebanese for day and weekend trips. Brummana also attracts thousands of Arab tourists from the Persian Gulf every summer, eager to escape from the hot and arid climate of the Persian Gulf. The population of Brummana rises to about 60,000 during the summer months, from a low of about 15,000 in winter, when the weather is cold and often snowy. Brummana has many prestigious hotels and also filled with many restaurants.